As you age, your skin can go through natural changes that could leave it looking less-youthful; with wrinkles, fine lines, bags, and more. 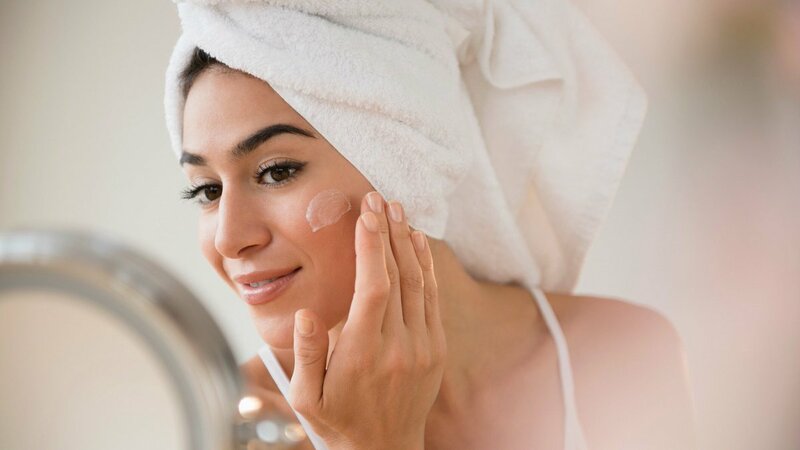 And while a host of factors can contribute to the effects of aging, having perpetually-dry skin can worsen these symptoms or make them appear sooner than usual. We’ve compiled a list of anti-aging tips for dry skin, so you can maintain or regain a youthful, radiant appearance. You are told from a young age that drinking water is very important and nothing could be truer. Drinking the proper amount of water is essential to your health in a variety of ways. It keeps most aspects of your health working at their best, including your mental and physical well-being. It should come as no surprise then that water has an effect on aging-symptoms. 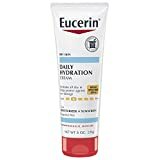 If you are not completely hydrated, your already-dry skin will not have what it needs to regenerate and create new, healthy skin cells. The proper-amount of water will vary by person individual-need, but the general rule of thumb is as follows: around 13 cups for adult males and 9 cups for adult females. Of course, you need to stay clean and staying clean should be part of your daily, dry-skin regimen. But how you wash and what you wash with is extremely important when you have dry skin. 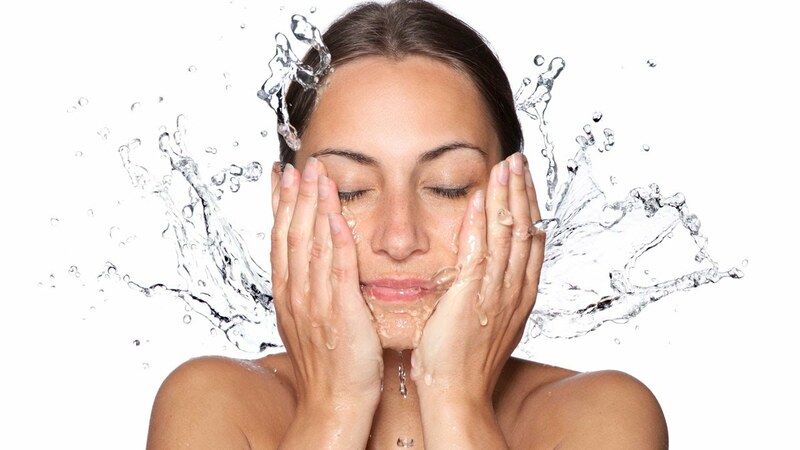 Be careful not to over-wash your skin, as that can further dry your skin-out. In addition, you should always try to stay away from water that is too hot. Stick with warm water, which will help prevent dryness. Stay away from harsh soaps and body washes that irritate your skin. In addition, never scrub your skin and try to wash with soft washcloths or loofas. Hard or scratchy fabrics will only irritate and dry-out your skin further. Preventing dry skin with these simple methods is one of the best anti-aging tips for dry skin. As stated above, what you put on your skin is extremely important. We all come in contact with a variety of products that interact with our skin. You’ll need to pay better-attention to products like laundry soaps and softeners, perfumes and colognes, lotions, deodorants, and even dish soaps. In addition, you’ll need to pay closer-attention to makeup and other facial products. Products with additives, perfumes, and harsh chemicals will only further dry-out your skin. As your skin grows dryer, it increases your risk of wrinkles, fine lines, bags, and more. 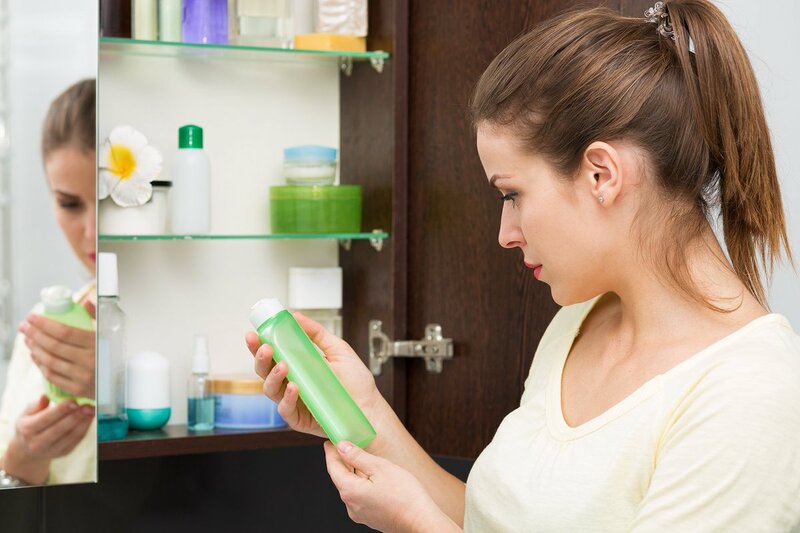 For one of best anti-aging tips for dry skin, simply reevaluate your household’s products. Try to find products without harsh chemicals or designed for sensitive-skin. You may be surprised to know that one of the best anti-aging tips for dry skin is a proper diet. Your overall health has a great impact on your skin, so you need to provide your body with what it needs. Try to ensure you are taking vitamins and eating a proper diet. Reinforce what you put on your body with what you put in it. By eating enough protein, vegetables, and healthy fats, you’ll ensure your body gets what it needs to regenerate the skin, keep it naturally-moisturized, and prevent it from drying-out. The sun can have horrible effects on your skin and if you’re worried about the effects of aging, you should protect yourself as much as you can from it. 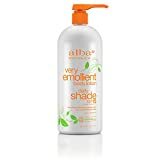 This means taking breaks from being in direct-sunlight, limiting your time of exposure, and applying SPF-products. If you have plans of being outdoors, you should apply sunscreen products to any exposed skin and aim for an SPF of at least 35. 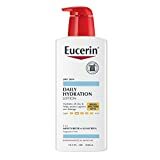 Eucern Daily Hydration Lotion Broad spectrum SPF 15 provides 24 hour moisture to dry skin while helping to protect it from sunburn and long-term skin damage with superior broad spectrum UVA/UVB sunscreen. For continued exposure, you should apply sunscreen every 2 hours or after you’ve been exposed to water. If you plan to be in water, be sure to put on a waterproof SPF product. In addition to drying your skin out, the sun can cause wrinkles, fine lines, and even cancer. One of the best anti-aging tips for dry skin is to stick to the proper routine. You should properly cleanse your face twice daily; once in the morning and once in the evening, before you go to bed. After washing and drying your face, be sure to apply a moisturizer. For the morning, choose a moisturizer that has SPF built-in, in addition to ingredients that work to lock-in moisture. For the morning, choose a moisturizer with more focused-ingredients, as your skin naturally-regenerates as you sleep. When you apply these moisturizing-ingredients at-night, your skin is better at naturally absorbing them. Just like water, sleep is essential to your physical and mental well-being. When you do not get a restful night’s sleep or do not sleep enough, your skin will show it. The average adult should be getting at least 8 hours of sleep each night, though some people may need more as they age or if they are healing from infection/injury. When you sleep and are rested, your skin has the ability to regenerate itself better and also retain moisture better. The key to maintaining dry skin is to keep in healthy moisture, so be sure you’re sleeping enough. In addition, you may try to switch the type of sheets or blankets you sleep on. Not only do higher-quality sheets help you feel more comfortable, but they are less likely to irritate your skin. The anti-aging tips for dry skin you’ve seen here will help you keep moisture in and reduce the effects of aging. By focusing on the proper health, the best products, and a solid routine, you can help your dry skin feel and look better in no-time. You could also prolong the possible effects of aging with the proper preventative measure. Try following our anti-aging tips for dry skin and let us know: how you do keep your skin soft, supple, and radiant?